One thing I noticed and liked in fishing communities is the use of bright primary colors. I think all that fog makes them want/need to see bright. Nice photo, Brian. I like the repetition. 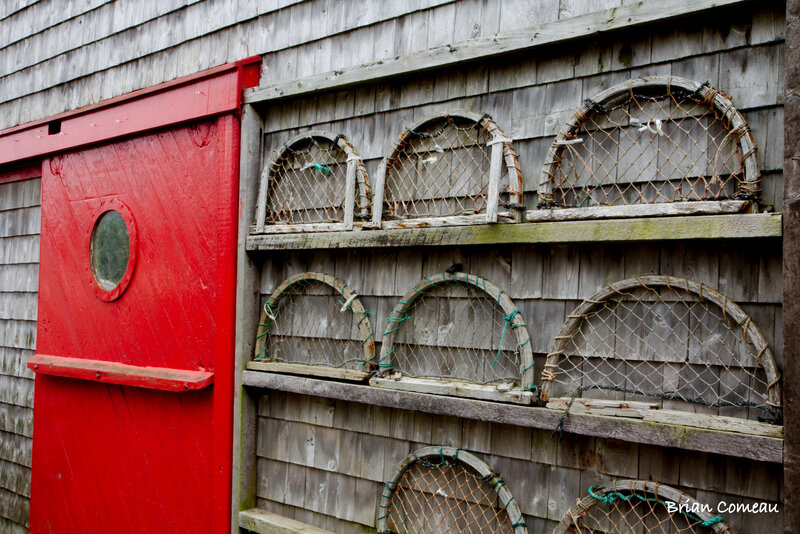 That is also something I noticed about fishing communities, lots and lots of the same items, like colorfully painted lobster buoys. Thanks Donna. It was a pretty neat place. That’s an excellent hypothesis about the need for bright colors to counteract the fog. Thanks Frank. It was one of those days where it all just worked. Lots to see and shoot. I can see why this would be a favorite photo from your trip, Brian.